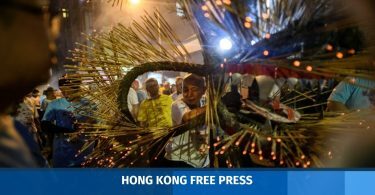 The District Court will proceed with a case involving nine defendants charged with rioting in the Mong Kok unrest that took place last Chinese New Year. Following around 50 days of hearings, the court ruled on Wednesday that all the defendants have a case to answer, meaning that there is sufficient evidence to move forward with the case. District Court. Photo: HKFP/Ellie Ng. Eight of the defendants contested the admissibility of the evidence submitted by the prosecution, which includes footage of the incident, cautioned statements and Whatsapp messages. 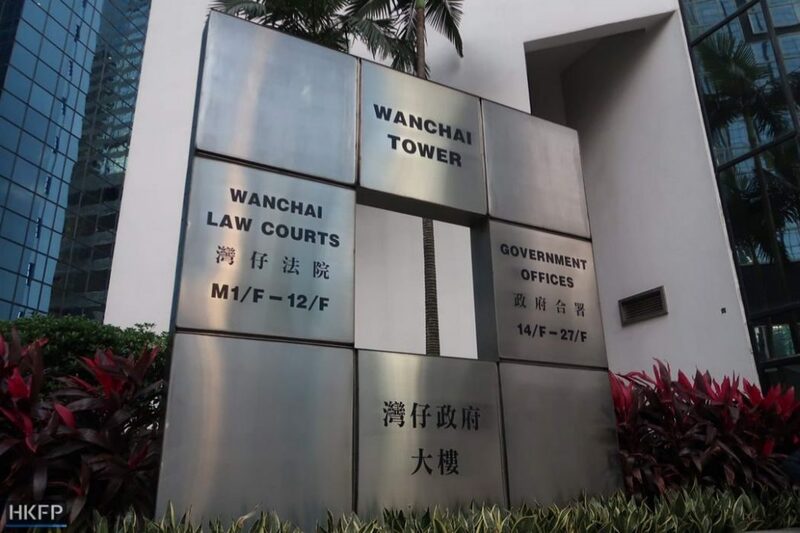 They were all determined to be admissible by judge Kwok Wai-kin, who added that the evidence will be used in the trials of all defendants in the case. At least one defendant has stated that he will represent himself in court and will summon a police officer to testify. 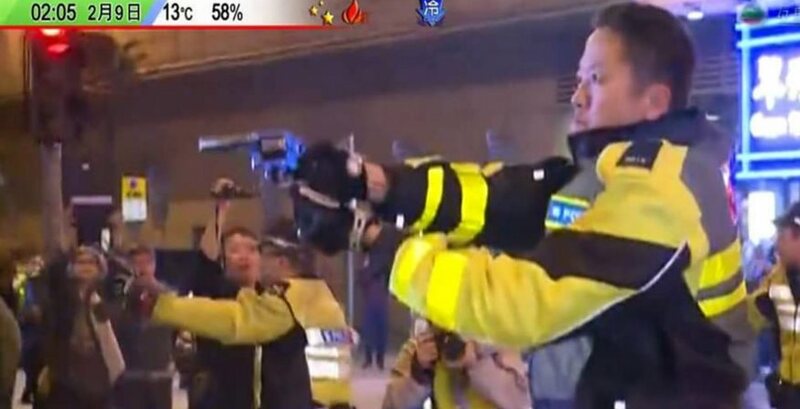 According to sources cited by Apple Daily, the officer who will be summoned to testify is Wong Hing-wai, who fired his gun into the air on the night of the incident. The nine defendants are Mo Jia-tao, Chung Chi-wah, Anthony Ho Kam-sum, Fok Ting-ho, Chan Wo-cheung, Tang King-chung, Li Cheuk-hin, Lam Wing-wong, and Yep Chi-fung. Another defendant in the case, Lee Sin-yi, has reportedly already fled to Taiwan, while Ng Ting-kai pleaded guilty and has been released on bail pending sentencing. The case will resume on Friday. The Mong Kok protests broke out last February over efforts by the authorities to clear street hawkers. 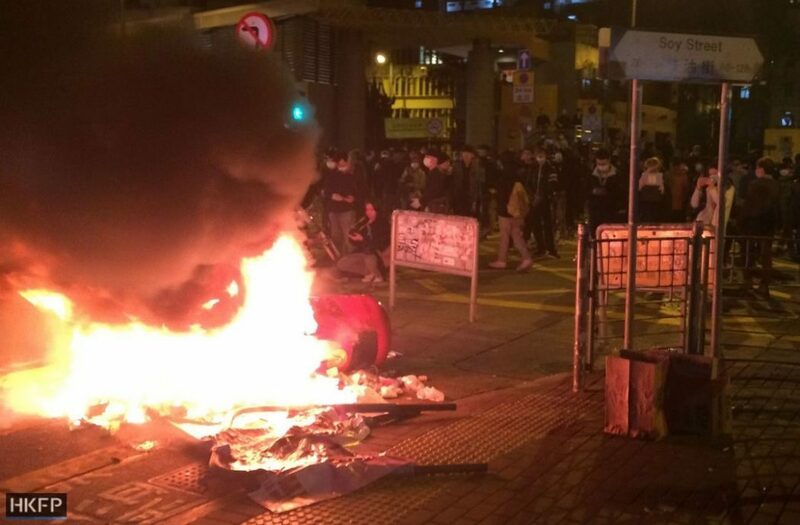 In April, the District Court sentenced a 32-year-old to four years and nine months in jail for rioting and arson, while the first rioting convictions in March saw three others handed a three-year jail term in what the judge said was a deterrent sentence. In August, two more were sentenced to three years in prison. 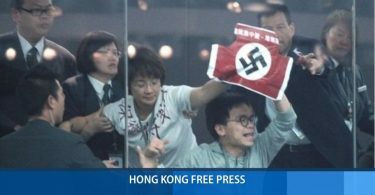 In a separate trial in the High Court related to the event, ten defendants – among them Hong Kong Indigenous members Ray Wong and Edward Leung – have been charged with rioting, inciting a riot, inciting an unlawful assembly, and other offences. Rioting carries a maximum penalty of ten years’ imprisonment under the Public Order Ordinance. The District Court is only allowed to hand down sentences with a maximum length of seven years, but there is no general limit on the length of imprisonment in cases taking place in the Court of First Instance. Is Beijing’s decision on democracy in Hong Kong written in stone?